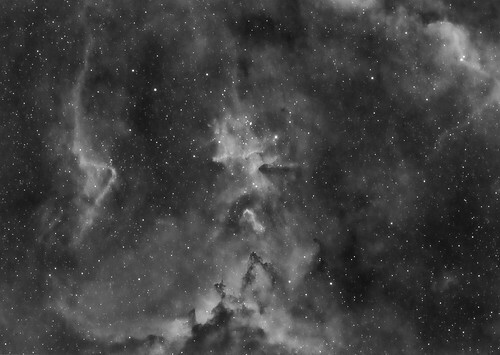 Melotte 15 is a cluster of young stars in the mid of the cloud complex IC1805 - the Heart Nebula - in the constellation Cassiopeia. The image was made from 56 images of 600s exposure @ ISO 800 with 12 nm Hydrogen-Alpha narrowband filter. The data were shot through a 130/910mm refractor with a stock Pentax K3ii.